Ron Paul Educates Liberal College Students !!! These kids even with some stupid questions did a way better job than the MSM and Paul was actually allowed to talk rather than being forced to squish everything into sound bites. Rights are inalienable but the liberal turd thinks you have to compromise on rights. No you don’t. That’s how they’ve been taken away. 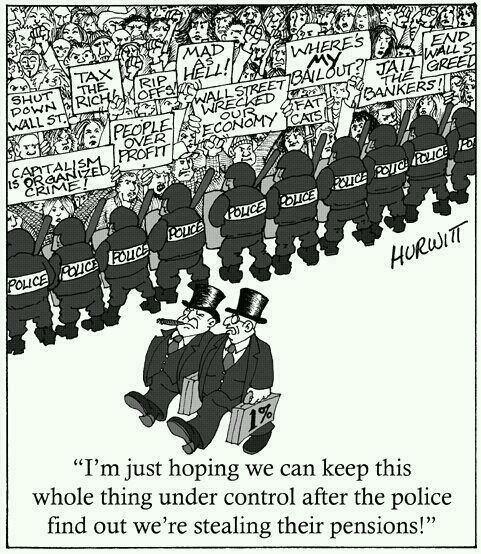 It’s the congress making deals that lead to pat my back ill pat yours and we’ll both screw over the people. That’s the reality of it. WE NEED a man of principle. Government is AN AUCTION !!! CNN finally released the full interview. It shows that Ron Paul didn’t “storm off” – the interview was over. Propagandist Borger ends the interview with an outrageous insinuation and lie: “Some of this stuff was very incendiary, you know… saying that in 1993 the Israelis were responsible for the bombing of the World Trade Center”. The newsletters, politically incorrect as they might have been, NEVER made such a claim. The corporate media will stop at nothing to discredit Ron Paul, but thanks to a growing understanding on part of the public of “how the system works”, the media’s efforts aren’t just not working, they are backfiring. Ron Paul remains the undisputed frontrunner in Iowa (as documented by five consecutive polls by various organizations). Nationally, Ron Paul gained 5% on both Gingrich and Romney among Republican voters over the past 5 days, i.e. during the worst phase of the media attack. RON PAUL THE RACIST !!!! Gloria Borger, the CNN political analyst below, grew up in New Rochelle. She is a graduate of Colgate University Class of 1974, with a degree in Journalism after washing out of English. Borger lives in Washington, D.C. with her husband, Lance Morgan, a lobbyist who works for Powell Tate, a company that has a vested interest in keeping the War on Terror and the War on Drugs to continue ad infinitum. While the establishment media continues to hype a 15-year-old story concerning decades old newsletters as part of a dirty tricks campaign to smear Ron Paul as a racist, the latest CNN poll shows that Paul has the most support from non-whites out of all the Republican candidates. The latest CNN/ORC poll released Tuesday finds that Congressman Paul scores highest amongst minorities when matched up against Barack Obama in a hypothetical election head to head. Paul scores 25% of the vote amongst non-whites, whereas Romney polls at 20% and Gingrich gets 15%. Ron Paul is clearly the most popular GOP contender amongst non-whites out of the entire field, suggesting that the “racist” smear, which was heavily pushed back in 2008, has had very little impact whatsoever on the views of those who presumably would be the most likely to be offended by it. Indeed, it’s a remarkable coincidence that those who seem to be most offended by the non-controversy are well to do, white, establishment Republican cheerleaders, Paul’s foremost political adversaries. The establishment media has predictably launched a second round of smear concerning the “racist newsletter” controversy that was first reported in 1996 and firmly debunked when it cropped up again in 2008. Unsurprisingly, the hit piece was originated by a hardened anti-Paul neo-con who enjoys membership of the same shadowy billionaire-financed lobbying group as Paul’s election rival Newt Gingrich. Paul has repeatedly pointed out that he had nothing to do with writing the offensive statements and didn’t even read them until years later, at which point he completely disowned the content. The key piece of evidence, universally ignored by the race baiters, which proves Ron Paul’s stance was the exact opposite of that portrayed in some of the newsletters released under his name in the early 1990′s, relates to Martin Luther King. The attack dogs have attempted to imply that Ron Paul either wrote or at least signed off on the characterization of civil rights hero King as a violent philanderer who “seduced underage girls and boys,” and that he criticized Ronald Reagan for signing legislation creating the federal holiday in his name, which Paul’s newsletter (not written by Paul) labeled “hate whitey day”. If this was Paul’s belief in the early 90′s then why, over a decade previously and then again in the early 80′s, did Paul vote to recognize Martin Luther King day as a public holiday, the only time in history that the Congressman has ever voted for something that is not explicitly authorized in the Constitution? Ron Paul has accepted responsibility for the newsletters, he did so no less than 15 years ago, but he has maintained the fact that he never wrote or approved what was written in them. His support for a day to honor Martin Luther King years before newsletters were written by other authors denigrating King, provides concrete evidence for this assertion. 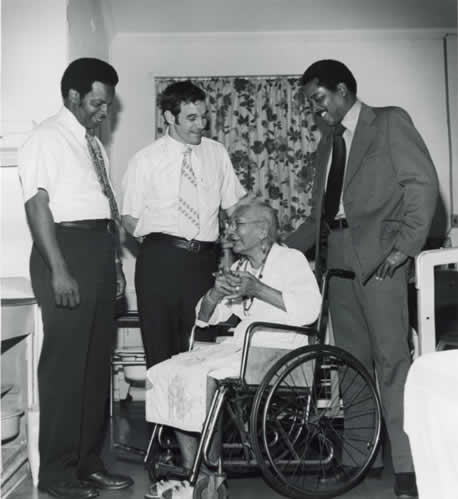 Paul’s support for King back in the 70′s proves that the newsletters were written by other people and did not represent the views of Paul himself, debunking the entire farce for what it is – a craftily manufactured smear attack. 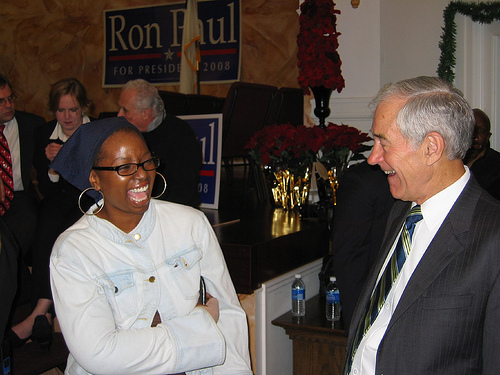 Ron Paul is the most popular Republican candidate amongst minorities because he seeks to end the war on drugs and the biased, racist court system it engenders that unfairly targets minorities. 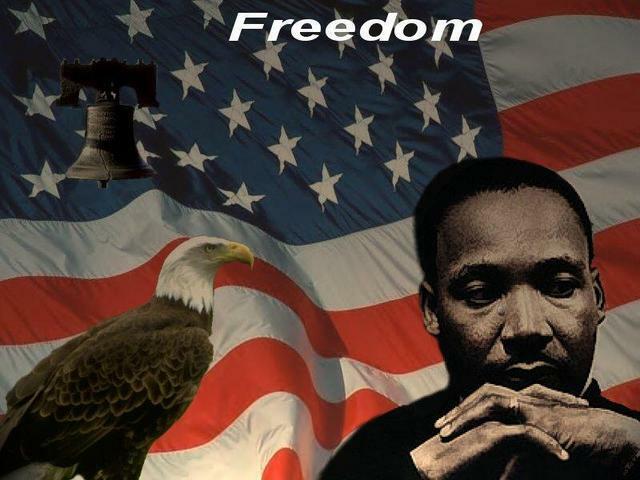 The video below illustrates how Ron Paul’s policies are almost universally in the same spirit as Martin Luther King, and how minorities are resonating with his message of true liberty. 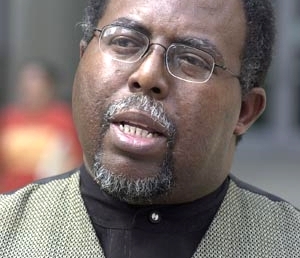 NAACP Nelson Linder speaks on Ron Paul and racism. An honest interview that everyone should hear. Once again, Ron Paul is being maligned by the main stream media with dishonest propaganda. I’ve said before that there was danger in Ron Paul peaking too early. It is the practice of the mainstream media (MSM) to build up Republican candidates just so they can have fun tearing them down. Having worked on the Paul campaign previously in 2008, I was already aware of what kinds of attacks to expect against him. 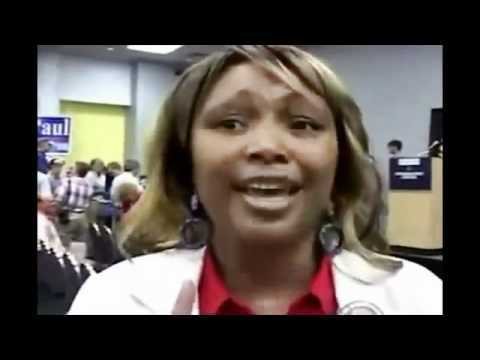 Because Ron Paul offers little to the MSM by way of dirt or scandal, they have to search beyond the candidate himself to find things to attack him with – such as statements made by some of his supporters. Lord goes on to call alleged statements by Paul “the most vile of racist language”, “appalling” and “disturbing”. This isn’t the first time the MSM has attacked Paul over the newsletters. In 2008, it was the New Republic that claimed it would be releasing a damning expose on Ron Paul. Sure enough, around 3pm EST on the day of the New Hampshire Primary, the New Republic launched their attack and the Drudge Report posted not one, but two, links to the story in bold red font. The last minute assault did little damage to him in New Hampshire because he wasn’t very popular at the time anyway. But I read the New Republic article. I read the quotes. As I am very familiar with Ron Paul’s articulate style of writing and speaking, I immediately recognized that the shocking quotes could not be his. The quotes were ignorant, angry, used poor grammar and did not reflect Paul’s style in any way. In fact, the author of the expose admitted that Ron Paul denied the quotes were his – but the attack against Paul himself continued. Then, like now, the publishing of these unattributed quotes is nothing more than a political hatchet job – cold, calculated and poised to cause maximum damage to the political aspirations of Ron Paul and his freedom-loving supporters. What the MSM insinuates by publishing these quotes is that Ron Paul is anti-gay, anti-black, anti-Jew, and supports the KKK. They suggest that Paul advocates that the “superior” white race should arm itself in preparation for a grand race war with the inferiors among us. This low blow is nefarious and indicative of the lengths to which enemies of Paul’s message of strict-constitutionalism will go. The MSM went after Bachmann’s looks. They ridiculed Perry for his “Oops” gaffe ad nauseum. They brought forth false accusers to destroy the reputation of Herman Cain. And now they are trying to paint Ron Paul as a white supremacist just when such accusations could cause him the most strategic damage. This is politics at its dirtiest. I recall defending Ron Paul during the 2008 election cycle. His strong anti-Iraq war stance earned him the ire of Jamie Kirchick, a strong advocate of the war in Iraq and who worked as the assistant editor of the New Republic. Kirchick had announced on Tucker Carlson’s show that he had proof that Congressman Ron Paul was a homophobic racist. Kirchick’s article was published on the day of the New Hampshire Primaries to maximize its shock value and rocket his own name into headlines. The premise of the newsletter scandal is a poor one. From the 1970’s to the 1990’s, various newsletters were published which bore the name “Ron Paul” in their titles. A vast number of the newsletters were printed without even having been read or reviewed by Ron Paul. 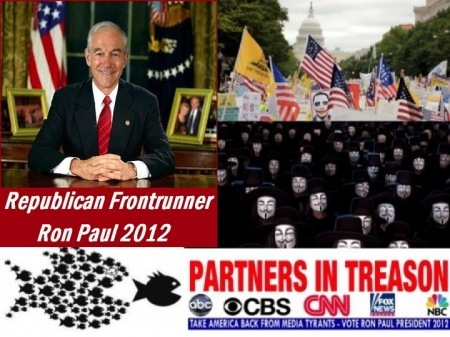 Much of Ron Paul’s support comes independent of him or his official organization. For example, Dr. Paul was not personally responsible for the 2008 Ron Paul Blimp, the Tea Party ’07, or the various “money bombs” that catapulted him to stardom. Likewise, past supporters have published their own ideas on subjects, independent of Ron Paul’s involvement or approval. It would be wrong to hold Mitt Romney responsible for the polygamy of Mormons in the 1800’s. It would be wrong to hold Barack Obama personally responsible for all the statements made by his ignorant supporters. Likewise, it would be wrong to hold Ron Paul responsible for the opinions or statements of all the individuals that share some of his political philosophies. That Jamie Kirchick was a self-aggrandizing pseudo-journalist with a personal agenda to gain attention cannot be denied. Nor can it be denied that the pseudo-journalists making issue of these newsletters in 2012 are just as irresponsible and intellectually dishonest as Kirchick was in 2008. 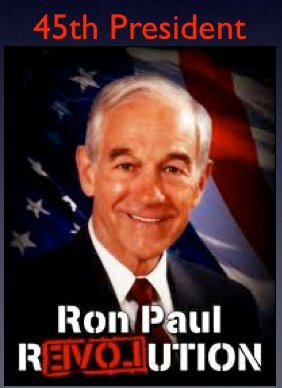 If you weren’t already aware of the Newsletter scandal, you now know enough about the issue to strongly defend the honor of Congressman Ron Paul. And, if you didn’t already know how low Sean Hannity stoops, you do now. It takes a real slimeball to call another man a racist behind his back. Jake Morphonios has worked as a political consultant and campaign strategist for over two decades and is the author of Organizing a Grassroots Political Machine, used in the Steve Forbes 2000 Presidential campaign. 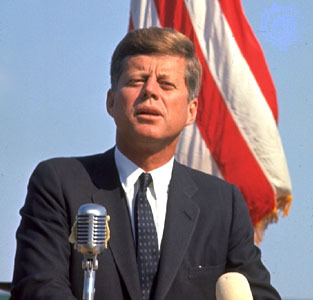 RON PAUL JFK & MLK on Patriot Act NDAA S1867 HR1540 Section 1031E – 1032 !!! !